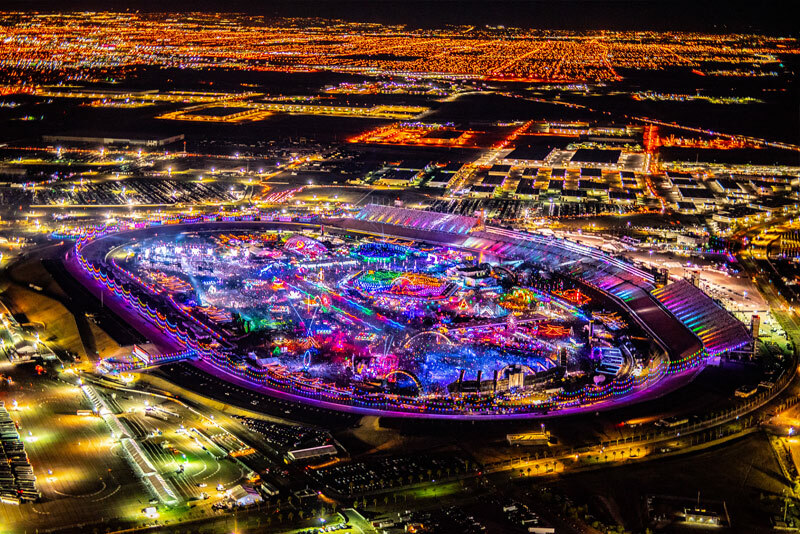 Items To Bring: Helicopter transfers do not include admission to EDC and all guests must be over 18 year old. Photo ID is required. Landing Location: Click here to see map of EDC helipad. 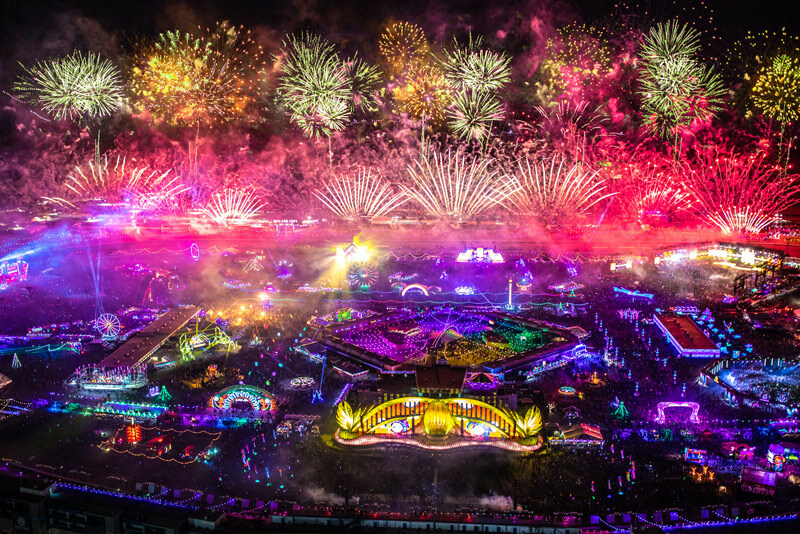 With its all-star music lineup, neon decor, unrivaled theatrics and endless excitement, Electric Daisy Carnival has found its home in the Entertainment Capital of the World, Las Vegas. 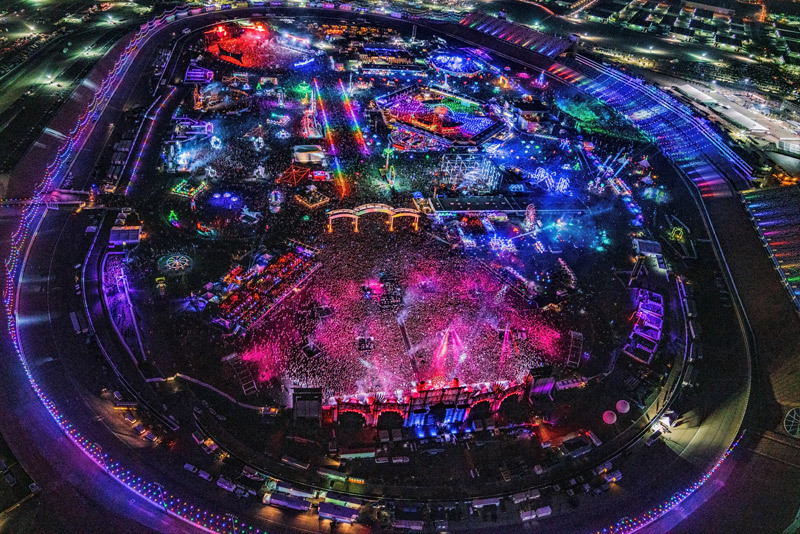 Known as one of the largest music festivals in the United States, EDC has captivated electronic music lovers from around the world. 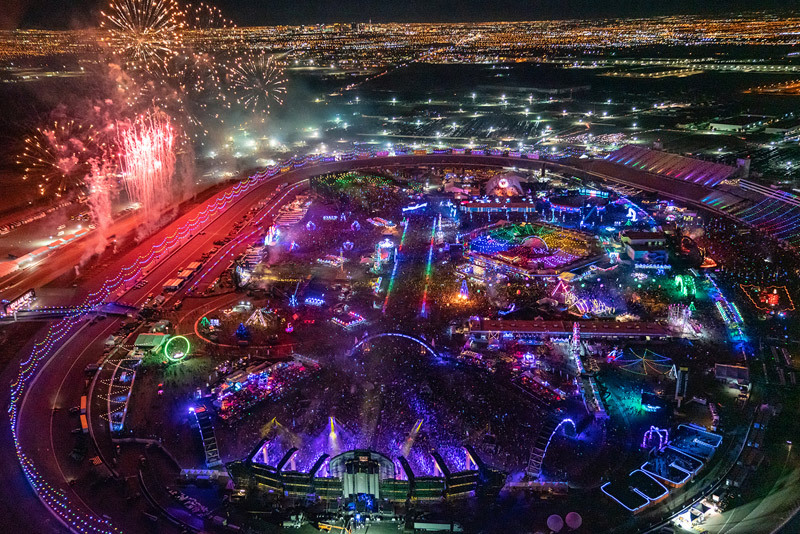 The popularity of EDC Las Vegas continues to reach new heights with new dates and features added for 2019. 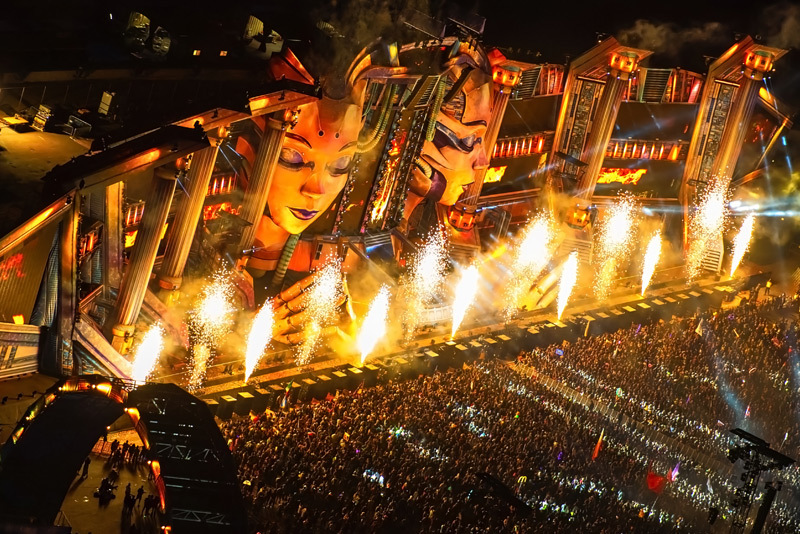 Expected to draw nearly 400,000 guests over the weekend, EDC Las Vegas 2019 will be one of the biggest parties to ever hit Las Vegas. 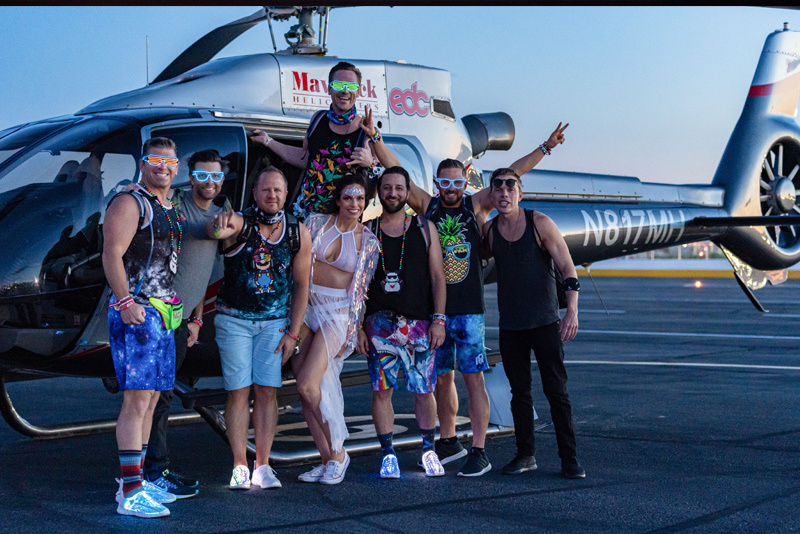 As the exclusive provider of helicopter transfers for EDC, Maverick Helicopters will once again deliver top notch, VIP service to our guests. 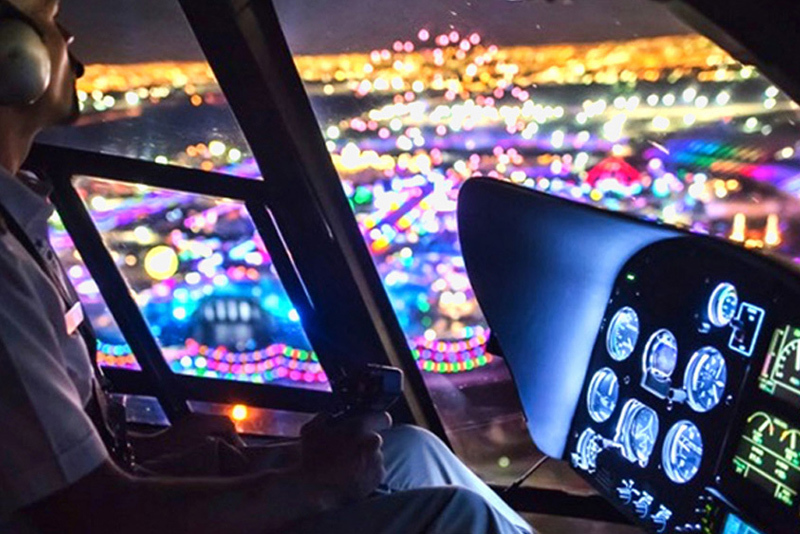 Fly in a luxury helicopter for the roughly 15 minute flight to the Las Vegas Motor Speedway. 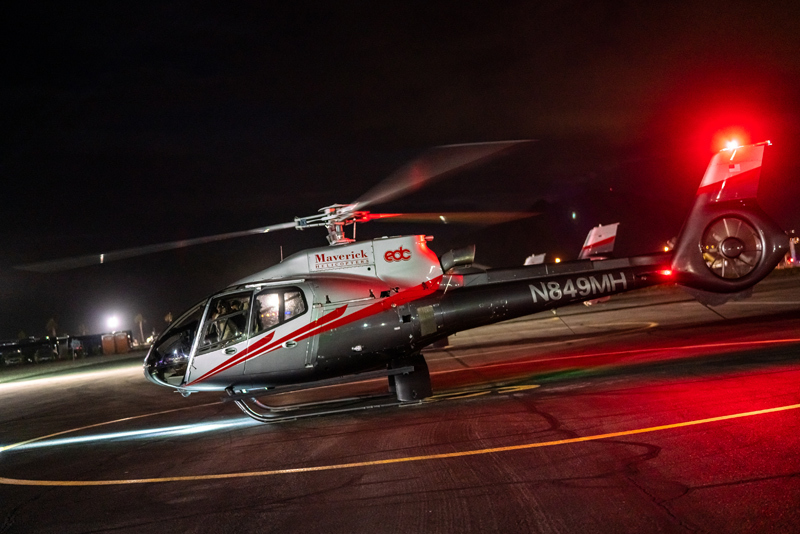 Flights originate from the private terminal of Maverick Helicopters where the festivities will start prior to the flight. 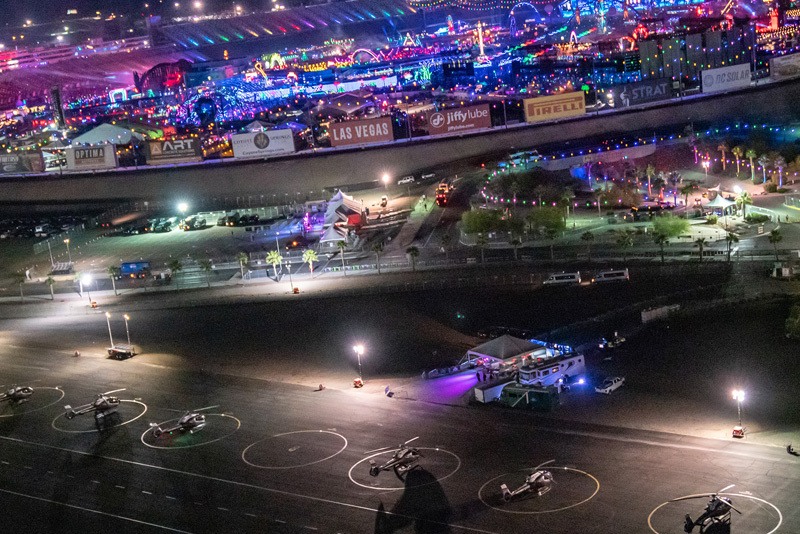 Once you arrive to the Speedway, make your way to the festival grounds for the party to begin! Arrive in style with Maverick Helicopters!